For several nights to come, while the tiny mechanical mice that operate the machinery that closes Richard Keogh’s eyelids labour at putting him to sleep, if they look into his eyes they will see in each bulging globe reflections like in a kaleidoscope of a Leeds United player called Samuel Saiz Alonso. And the mice will try in vain with sponges and cloths to remove the shadow of Kemar Roofe from Keogh’s waxy, shining forehead, where it has branded his xylophone of wrinkles like the stain on the Turin Shroud. The close up of a soon to be vanquished warrior as his face reflects the charge of an overwhelming enemy is a cinematic trope, but Keogh and the Derby County defence were unwilling, expendable extras in a movie masterpiece directed by Marcelo Bielsa, eschewing the usual canvas chair and megaphone for an upturned bucket and a paper cup of coffee. Frank Lampard had a few ideas he wanted to contribute to the screenplay, but Bielsa dismissed them with a kind smile and a handshake, as if he was greeting a fan outside the team hotel. A filmmaking friend once described actors as ‘bleeding props’, and that’s all Frank Lampard was to Bielsa’s Championship blockbuster. What Samu Saiz is to the plot of this new movie is wonderful. We said goodbye last season to a peripheral, pissed off prince, but he has come back as Bielsa’s tiny king, his romantic lead, around whom all the mechanics of the plot revolve. He takes the ball wherever it is given and advances the story by thirty or forty yards in an instant, insisting on a through ball at the end of it all, or at least on keeping possession; he kept it early on with a clever chip over a defender to Mateusz Klich just so Leeds could keep the ball, and keep the chance of giving it back to Saiz. It wasn’t only Keogh’s eyes that Saiz caught, and we should enjoy him in this form before he is constantly man-marked, has his legs broken, or objects strongly again to Welsh people and is sent off in Swansea. Derby tried to curb Saiz by bringing on Bradley Johnson to mark him in the second half, but we know better than Lampard that Johnson’s first thoughts are always for scoring that one thunderbastard in a thousand, not for stopping another at play. Saiz looked annoyed by Johnson’s presence, but we know that feeling too from when Simon Grayson used to submit his teamsheets, and we learned as Saiz did that having Bradley around is never as bad as it seems. Although he was the lead, Saiz was only part of the story. Keeping to the shadows like a sailor past his shore leave, Pablo Hernandez was the puppeteer pulling Saiz’s strings; he let the little brandy barrel roll through midfield, knocking opponents left and right, then followed in his wake to get the ball and give it, vital but not central. Thomas Christiansen figured this out after a few games last season, moving Saiz to number 10 and using Hernandez as his hype man; but as he has with everything, Bielsa has increased the tempo. The opening goal was a perfect rap; Derby lost possession far upfield and Saiz tore through them with energetic rhymes; he passed inside to Pablo for an intelligent, patient verse, who gave the mic to Mateusz Klich for his own audacious chorus. Shuffling off the beat, he threw the defenders off the bridge and curled a melody from outside the penalty area into the bottom corner. The fourth goal, too, happened because Derby forgot that Hernandez has all the lyrics, or because they didn’t think he had anything left to say about where Liam Cooper’s long free-kick was going; he shouldn’t have, and the ball should have bounced out, but even at 3-1 up Hernandez raced after the ball as if the score was — well, I can’t imagine a scoreline or situation when a player would chase this ball in particular, but Pablo did, and dipped it back across goal. Ezgjan Alioski believed in Pablo, and in his own neck muscles, and headed the ball powerfully over the line. His trademarked celebration — trademarked in Macedonia, anyway — of a heart made with his hands was augmented by a new shake and swivel of his hips and wild contortions of his muscular tongue, an image the mechanical sleep-mice will only clean from Keogh’s nightmares with cold towels and extensive therapy. In between those goals were two for Roofe. 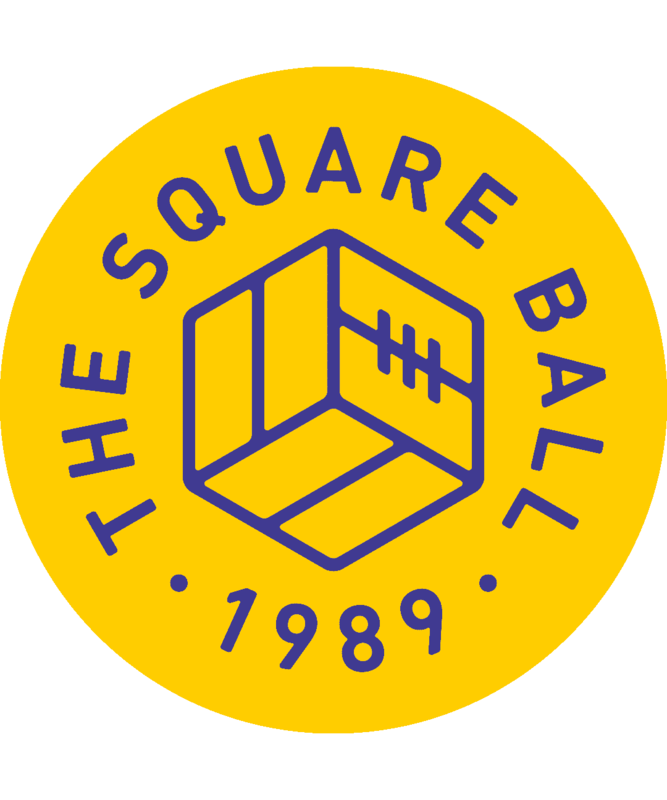 The first was from an excellent cross by Alioski, after Leeds insisted on keeping the ball at Derby’s end after a corner had fizzled out; Barry Douglas’ ball down the line to Alioski was determined, Roofe’s header was sublime. He made his second goal out of thin air, which is where he plucked the ball from; Klich’s clipped pass was meant for Saiz, but Roofe flicked a boot, swivelled past Keogh, and shot past Scott Carson from close range. Only a brilliant point blank save by Carson stopped Roofe having a hat-trick. As against Stoke City, Roofe looked like the ideal figurehead for Bielsa’s high tempo attacking; the right runs and clever positions are important when Klich, Saiz, Hernandez, Douglas and Luke Ayling are all close by trying to score. During the Stoke game I thought Patrick Bamford might get his opportunity quite soon because Roofe couldn’t finish, but as that wasn’t a problem in this match, I now think all the problems are Patrick’s. Leeds United’s problems, such as they are, include a fragile defence; there were frenetic moments against Derby, similar to when the penalty was given to Stoke last weekend. The back two or three or four, depending, will benefit from Pontus Jansson’s confident simplicity when he’s ready to play again. But in the meantime Leeds haven’t conceded from open play in two games, suggesting Gaetano Berardi is an able deputy, and Cooper this season is as newly inspired as Roofe. The goal conceded to Derby had some calamity, though; Berardi lost the ball, Cooper covered him by giving away an unwise free-kick, and Bailey Peacock-Farrell grasped at air, when he could and maybe should have been blocking the ball. The free-kick by Tom Lawrence was well struck and wobbled over the wall like some sort of prank, but a similar sort of shot went straight through Peacock-Farrell at Forest Green Rovers. Peacock-Farrell made good saves against Stoke, but Derby didn’t give him any shots for redemption, and as Bamford looked disconsolate at Roofe, Jamal Blackman must have tightened the velcro on his gloves, sensing his chance might be soon. United’s other problems are things like, how many laps of the city centre should the open top bus do in March? Last week Leeds were outstanding; this week Leeds were outstanding. The aggregate score is 7-2 to Leeds, and the aggregate amazement is unmeasurable. Frank Lampard has perfected the in-game suit, the respectful soundbite, and the pensive touchline stance; as Bielsa beamed kindly at him at full-time, like a vet about to do what’s best for Lampard’s favourite pet, Frank looked shocked. He probably didn’t pay much attention to the Championship while he was playing for Chelsea or working as a Premier League and World Cup pundit on television; probably as little attention as Marcelo Bielsa gave it while working in France. But one of them has learned everything he can about it in the last three months; the other just received a sharp ninety minute lesson. Another problem, I suppose, is the danger of getting carried away. We haven’t even played a single minute of Carabao Cup action yet, so it is probably too soon to proclaim us champions. But that’s often a question of appearances, or caring what others think; we’re cautious about enjoying ourselves too much too soon, because when it all goes wrong we’ll be left open to the jibes of outsiders mocking our fall from such brief grace. As passes were oléd in the first half, and the away end sang about taking the piss, you could draw blood biting your lip thinking about the pisstakes we might end up enduring when this all falls apart again. But then, who cares what other people think? Why should anybody else stop us enjoying, now, what we’re seeing, now, when we haven’t seen an away win since Boxing Day, when we haven’t seen an away win like this in years, when the transformation of our team into Chile circa 2010 is so much fun? It might not last. It won’t last. Nothing can. Samu Saiz is 27, like Joplin, Hendrix, Cobain or Winehouse, a fragile age for a genius, and he won’t play this way forever; Pablo Hernandez will retire; Marcelo Bielsa will go home. 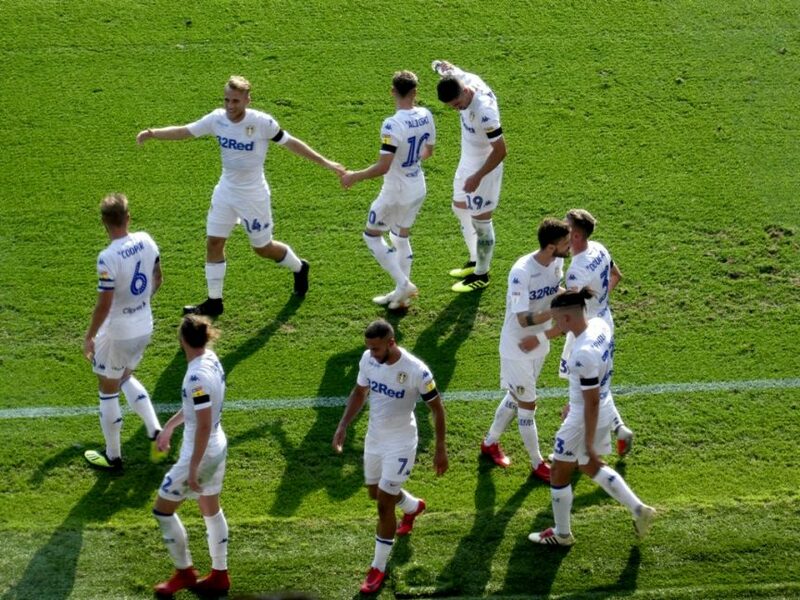 But until then, whether it’s in five years, tomorrow, or on 22nd January — the day Samu turns 28 — there is nothing to stop Leeds United fans enjoying every tackle in the attacking third, every Busta Rhymes break from defending to scoring, every kick of Kemar Roofe’s goal-seeking feet or every flick of Alioski’s pleasure-seeking tongue.